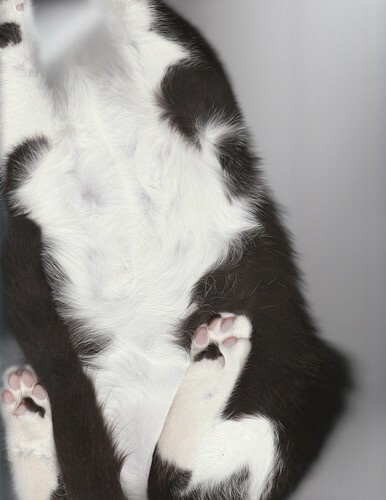 Why yes, I did scan the cat once. And in a completely unrelated event, I wrote a haiku about the underbelly of the cat. I tell you, I have found some great stuff in the drafts folder. Think about the even better stuff floating around in your head. I compose haiku while driving and when I get home, I lose them.